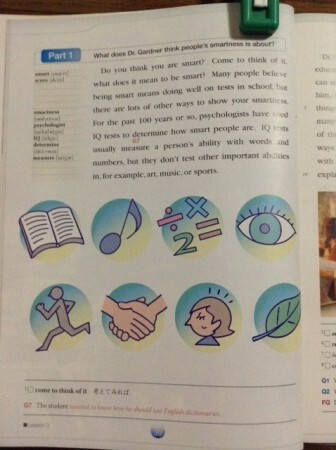 Tokyo Shoseki recently published an English textbook for 10th graders, Prominence: Communication English. Lesson three is entitled, "You are Smarter than You Think", and covers Howard Gardner and the theory of Multiple Intelligences. With MI theory featured in a prominent English text book, MI will be able to reach a wider audience and a new generation of students in Japan. Older Post"The Man Who Wasn't There"